You can take a breakfast with us on our newly canopied terrace and learn more about the typical rites and customs of the country. We’d be happy telling you anecdotes of our longtime experience here. Practical, funny and strange things. The breakfast eggs are from happy chickens of our own farm, the milk is from our Dutch cows. Radishes, onions, beetroots, tomatoes and much more are growing in our vegetable garden. Throughout the year, there are bananas and passion fruits and during November we have water melons from our own cultivation – shortly, your dream of a bio-countrylife will come true at our site. If you rather want to take care of yourself in our fully equipped kitchen, you can of course always buy some of our products. 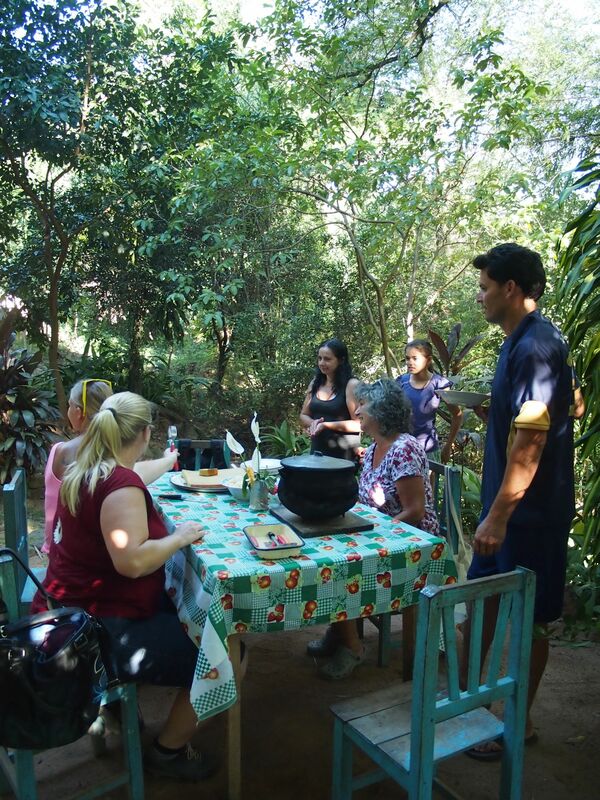 If you’re interested, we can show you a typical Paraguayan family that lives in our neighborhood. After a small tour through the property, a meal typical for the country will be served. Nothing which is organized for tourists but a true and authentic one. With curious child eyes and flock under the table – this is only for uncomplicated and companiable persons! We can also take a ride with you to a typically Brasilian “Churrasqueria”. 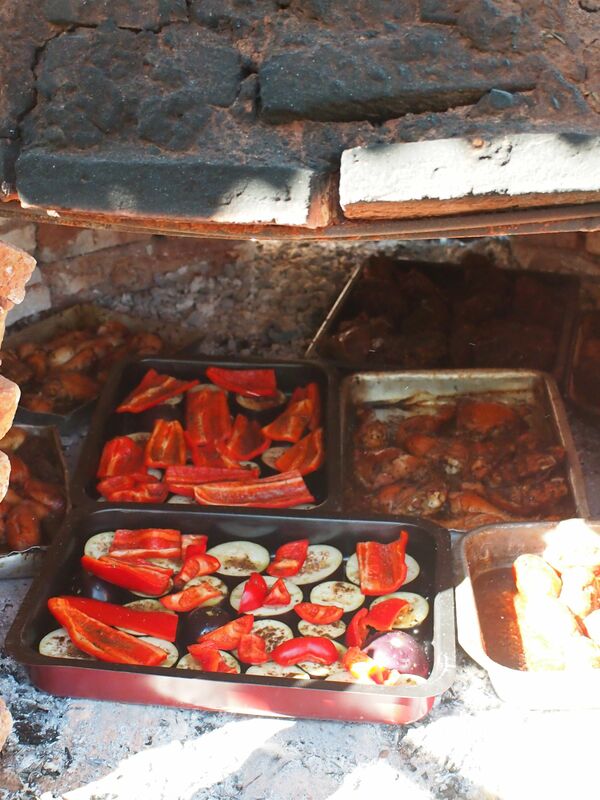 Or we show you our favorite restaurants which can be of Paraguayan as well as European origin. Or we take a rest at the side of the street and take a grilled chicken or barbecue spit with Mandioka with us. As a matter of course you will find everything in your kitchen to cook just as if you were at home: refrigerator, gas stove, baking oven, pots, pans, can opener and much more. Or you can use our grill. There’s a supermarket in our street where you can find everything you need to cater for yourself. I’ve been fortunate getting to know many lovely people and some of them have grown to my heart.